Portobello Road Gin is opening a multi-million pound distillery in London's Notting Hill, with boutique accommodation, bar, restaurant and guest experience. The Portobello Road Gin brand, founded five years ago, will take residence in a four-floor building on London’s iconic Portobello Road later this year. As well as the distillery itself, the venue will include a gin museum, blending rooms, Spanish-style Gin Tonica restaurant, bar and specialist gin shop, as well as a number of boutique guest rooms and a private dining room on the top floor. ‘The Distillery’ will also become the new residence of The Ginstitute, where guests can create their own unique recipe gin blend to take away and learn about the history of gin from the venue’s expert distillers. 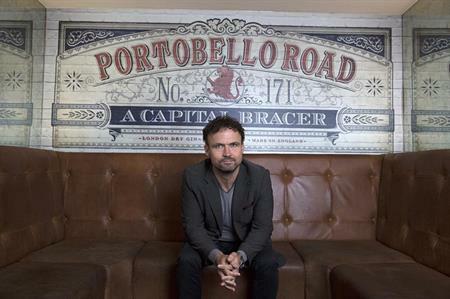 Tom Coates, brand director at Portobello Road Gin, said: "It's our ambition for The Distillery to be the finest address in gin and our plans will feature an upstairs private dining room to specifically cater for intimate corporate groups and tastings of up to 20 people. The art of craft gin is our passion and we'll also offer corporate packages in our downstairs gin museum – The Ginstitute – allowing groups to learn all about the spirit's fascinating history. Corporate guests can also blend their own unique bottle of gin to take home. We’ll even keep each individual's recipe on file for re-orders"
Ged Feltham, co-founder of Portobello Road Gin said: "We’re thrilled to announce the arrival of The Distillery on Portobello Road. Our roots have played an important factor in the success of the brand and it’s incredibly exciting to be able to grow and continue producing in Notting Hill. The Distillery will prove to be a mecca for all fans of the drink and will, we believe, become the finest address in gin."